Welcome to the Trudoxhill Website! This site is managed and paid for by the Parish Council for the benefit of the community. If you have any comments or content, please don’t hesitate to get in touch. Trudoxhill is a small parish situated just off the A361 between Frome and Shepton Mallet. The parish incorporates the village of Trudoxhill, Marston Bigot and Gare Hill, including Marston House and Park. It borders Postlebury Wood, Nunney, Tytherington, West Woodlands and Witham Friary. 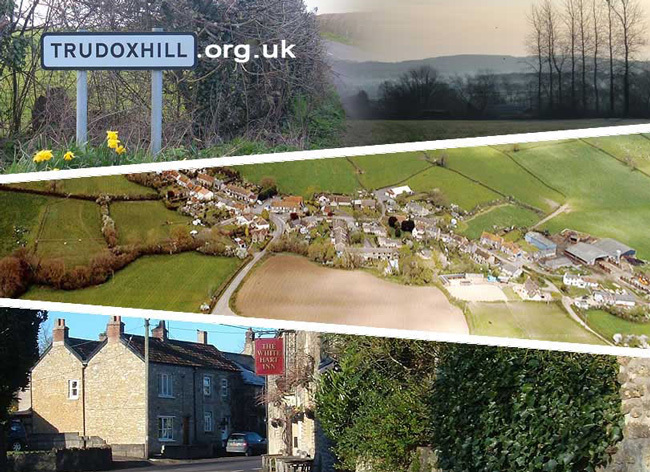 The parish consists of approximately 153 homes, farms, local businesses, a village hall and a public house.